The exclusive manufacturer OnePlus 6T have released their onePlus 6T last week with a range of specs that impress. The 6T device offers a 6.41-inch OLED screen with a resolution of 2340×1080 (402ppi) and 19.5:9 aspect ratio. But the main feature set to impress on the latest OnePlus offering is the in-display fingerprint reader. Originally destined for the OnePlus 5t, the company delayed release of this tech to ensure it was mature enough to meet standards for delivering a fast and smooth user experience. The fingerprint sensor has been moved from the rear of the handset to be placed underneath the display. When locked, a small virtual fingerprint icon will illuminate in the middle of the lower half. Despite the futuristic feel, you’ll use the sensor in a similar way to the classic unlock button. Simply hold your finger on the new fingerprint icon on the screen and the sensor will ID you to unlock your phone. Your fingerprint is then read by an optical image sensor and an AI processor. You can also use the sensor to pay for items through G Pay, Google’s mobile payments app. 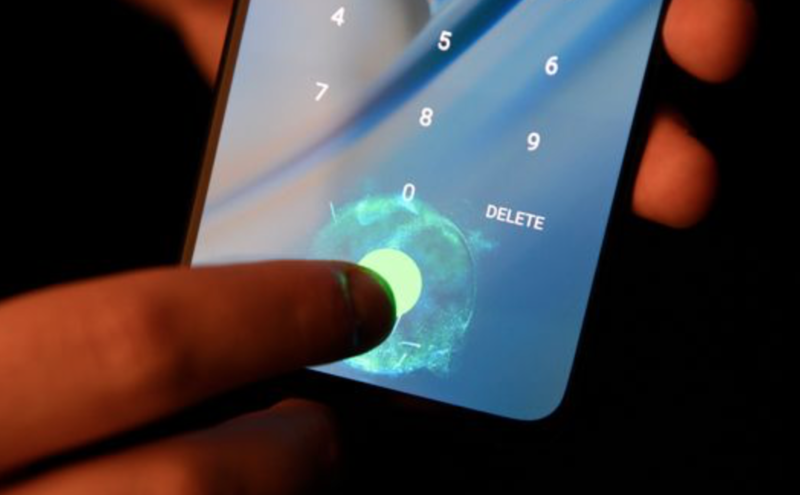 Named as “Screen Unlock,” the OnePlus 6T in screen fingerprint claims to be the fastest-performing in-display fingerprint authentication to date. Purchase the OnePlus 6T Sim free today, available with UK and international delivery.